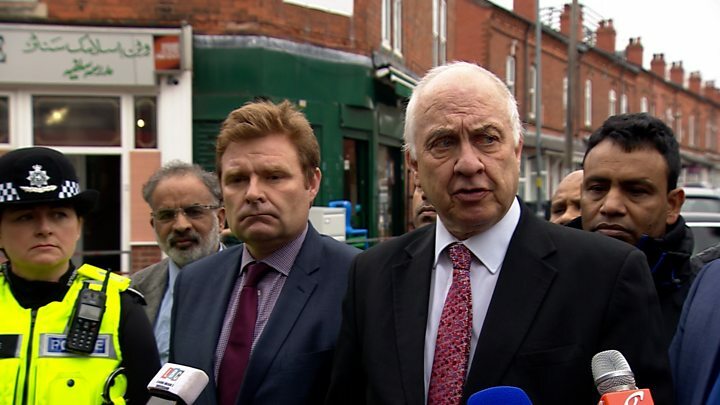 In a press conference held outside the Witton Islamic Centre, West Midlands Police and Crime Commissioner David Jamieson said: "What we have today is broken windows, but what people are doing who are breaking those windows are trying to break [is] our spirit, and break the cohesion that exists between all the people of the varied faiths and diverse community that we have here in the West Midlands. 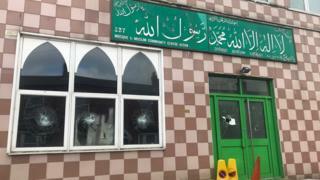 Officers said they will talk to mosques about extra security at Friday Prayers. Mr Thompson added: "Since the tragic events in Christchurch, New Zealand, officers and staff from West Midlands Police have been working closely with our faith partners across the region to offer reassurance and support at mosques, churches and places of prayer." Councillor John Cotton, cabinet member for social inclusion, community safety and equalities at Birmingham City Council, said he was "appalled" by the violence and was working with police to find those responsible. In the Commons, the Labour MP for Birmingham Erdington, Jack Dromey, spoke out in support of the city's Muslim community. While the leader of the Commons, Andrea Leadsom, was scathing of those responsible for the attacks. She said: "Our hearts go out to those who are affected by these attacks in mosques in Birmingham last night, it's absolutely unacceptable to see any form of religious or racial, or any form of prejudice whatsoever in our free and open society."